Brands influence people, but there are those who choose to believe they don’t – and such belief is the subject of the second of the five myths of influencer marketing. In this case, the best way to question said belief is to watch a few examples of brands that had or currently have influence over people. And this is not an exclusively current phenomenon. If you learned during Physical Education classes that the correct way of running is by supporting your heels on the floor first, know that you have been influenced by Nike. The Book “Born to Run” became one of the significant releases in the sports world since it was published in 2010. In the book, American journalist Christopher Mcdougall explains how Nike created that need in the 70’s. Based on their own research, the brand – brand new back then – was convinced that man, in order to run faster and less prone to lesions, needed a special protection for the feet that would allow him to step on heels first. Over 30 years later, in the 2000’s, the wave of questioning such technique gained strength, when it had already been widely spread, and had therefore influenced physical educators, coaches, athletes and even laypeople. Tests after tests were done and many of them concluded that running barefoot is more efficient and healthy than running wearing shoes filled with technology. Some brands released shoes that have the sole function of protecting the sole of the feet, without interfering with the way of stepping, keeping the same movement as when you run barefoot. They are called minimalist shoes. And interestingly, do you know which is one of the most popular minimalist models out there? Nike Free Run. Brands use different methods to persuade people and advertisement is one of them. It seems like something long gone, but smoking was associated to health until the 90’s. The advertisement below brought the picturesque argument that “doctors smoked more Camel than any other cigarette”. Some unbelievable these days. In 1976, Vila Rica brand used as a poster-boy ex-soccer player Gérson, the star of Brazil’s world champion team six years before that. 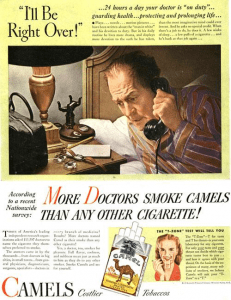 Notice that the advertisement back then would point out that Gérson “had always smoked”. In other words, while he was an athlete, he was also a smoker – which, in fact, he was. The ad became so popular that the term “Gérson law” stemmed from it. Even Wikipedia registers the term as “the principle in which a person or company obtains advantage indiscriminately, not caring about ethical or moral issues”. Between 1988 and 1993, Ayrton Senna made Globo TV’s audience jump up on Sunday mornings. 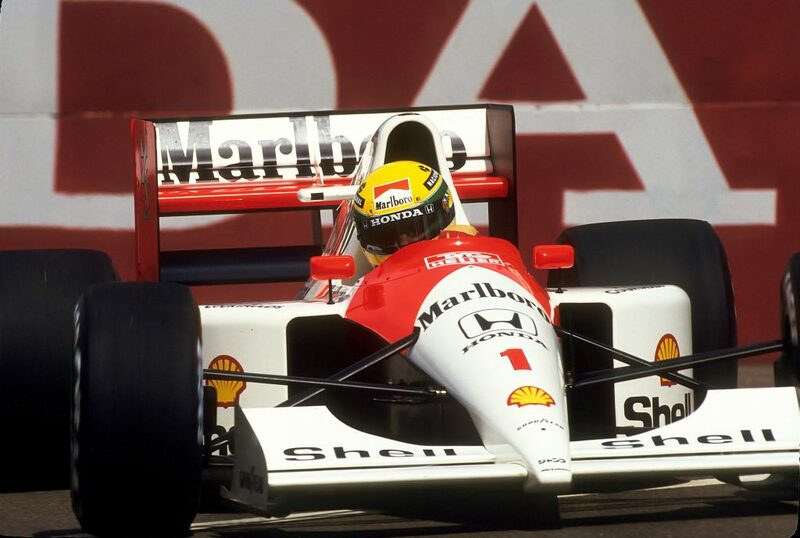 He won 35 Formula 1 grand prix and three world championships on his historical McLaren. Printed on the pilot’s car and helmet were the Marlboro logo. The sentence “the best ads are for the worst products” became a direct reference to the tobacco industry’s heavy investments in media, which were only interrupted in the end of the 90’s. Laws in different countries restricted – or prohibited – cigarette advertisement. For instance, the law was sanctioned in Brazil in December, 2000. 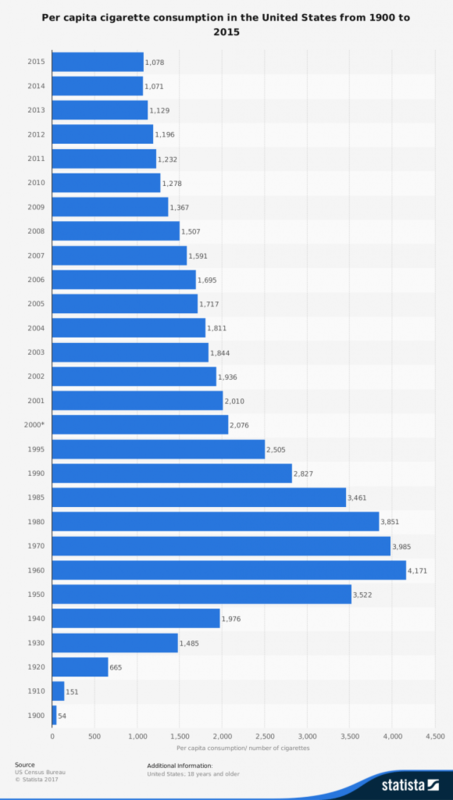 Now, look at the graph below by Statista, which shows that cigarette use plummeted between 1990 and 2000, exactly when there was the interruption of the advertisement in several countries. The link between media exposure and cigarette use suggests (or even proves) the power of brand influence over people. Those who experienced the 80’s and 90’s and lived with an entire generation of smokers will probably agree with this statement: as a result of media campaigns, smoking was associated to manliness, sensuality, and youth. Something completely different from nowadays, when smokers, above all, admit the addiction is not healthy at all nor yields them any status whatsoever. It’s just an addiction, as it has always been. In other words, the lessened power of mass communication resulted in less influenced over people. If, regardless of your religion, when you think of Christmas, one of the things that come to your mind is Santa Claus, know you have been influenced by Santa Claus in some way. And if, at any point of your life, you believed in Santa (or dressed as one on Christmas supper), you have been completely influenced by Coca-Cola. Even though he appeared in the XIX century in Europe, it was in the 30’s that the soft drinks brand created Santa Claus figure as we know it today, with the solid red clothes with white details, exactly like Coca-Cola’s logo. Notice that on the top 10 are companies that mostly have a strong digital presence. It’s from that aspect that influencer marketing kicks in. Instead of using publicity in mass media, brands now use digital media to engage the audience – and influence it. Trustbeginning with the creation of a strong relationship. Engagement, with the consumer interacting several times. Leading edge, with the brand being innovative. Corporate citizenship, which indicates that consumers have a feeling of belonging – they feel “citizens” of the brand. Presenceof the band in the life of consumers. How to influence with influencer marketing? In the context of influencer marketing, what changed in the digital era was the way brands influence people. Nowadays, according to American professor Mark Schaeffer, writer of the book “Return on Influence”, one can define influence as the ability to make the content move forward, with a user sharing the message with another, who will share with another and so on. A brand with a higher influence power, therefore, is that which is able to make its content spread in the most effective way through channels and paths that are beyond their own control. In this aspect, partnerships with influencers are the best way to amplify and speed up that process called influence.